Another day, another review. 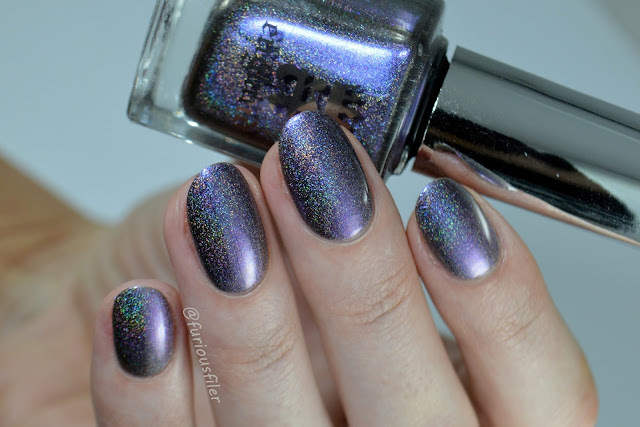 Surely you're not tired of holo by now? Good, because I have more coming your way! Today we'll be looking at Waltz of the Flowers*, another gorgeous holo from A England's Russian Soul Collection. Waltz of the Flowers* is a violet metallic that also shifts between blue and silver. The holographic effect is so strong, my eyes literally hurt. Before you ask, I am totally OK with it! The consistency and formula were very easy to work with and the finish is very similar to those of Kalinka* and Katyusha* only with a lilac hue. In the pictures I'm wearing 2 coats and a layer of top coat. It feels like forever since I had my beloved violet on my nails, but this shade is definitely making up for it. It's a stunning colour. And if you were wondering why my hand is looking A TAD orange, there's an explanation. You see, the thing about an English summer is that you can never be sure if it's actually coming and it almost always catches you by surprise. Just like the state of my legs this morning after a self tan episode. So on the only hot day we had so far, I ended up wearing long trousers because, you know, I'm such a self tan pro! I mean, my hand really says it all lol! 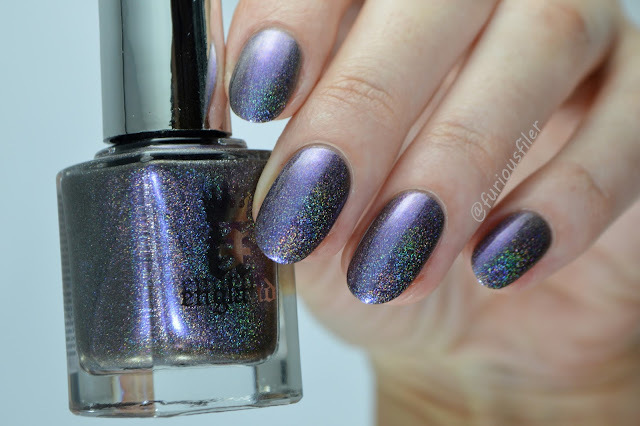 Missed the previous Russian Soul swatches?